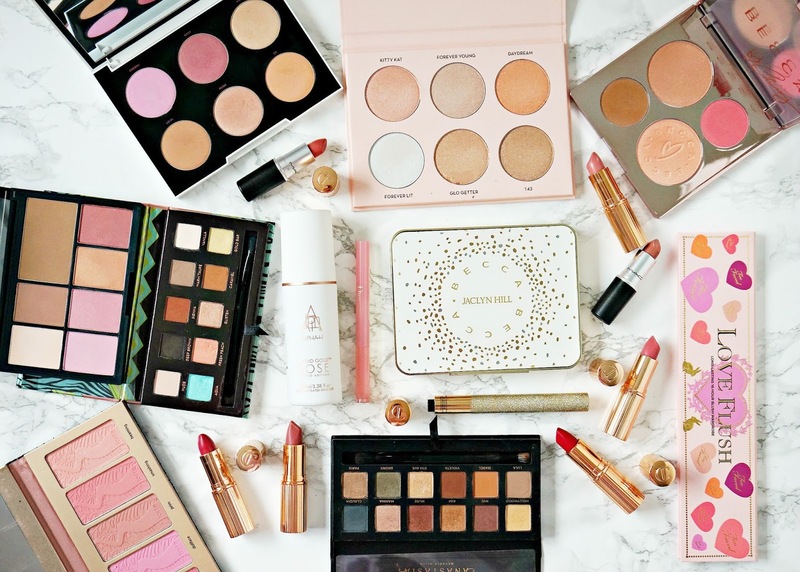 Annoyingly, I forgot to add my Hourglass products to the photo above because most of the products I own from that brand are limited edition palettes and I don't regret buying any of them. I love Charlotte Tilbury lipsticks so each time she releases a new "limited edition" I buy it - the thing is, they generally end up being part of the permanent line - The Queen and Pillow Talk, for example. Valentine and Between The Sheets are very similar so I probably didn't need both and if they weren't limited edition, I probably wouldn't have bought both. Sometimes I think limited edition products are just to test the popularity - Champagne Pop, for example, which is now a permanent product but it was touted as limited edition so we all lost our sh!t over it and paid extortionate shipping fees when it was first released! BECCA is a regular "limited edition" brand - and I pretty much fall for it every time! Nars is another one - their cheek palettes used to be pretty exclusive but they release an updated version at least once a year so there really is no need to pounce on them. I think the limited edition palettes that are released at Christmas are usually good value because it's an opportunity to try a number of products from a brand at a reasonable price - examples are the Too Faced and Tarte blush palettes in the photo above, so I don't regret those purchases at all. One purchase I do regret is DIOR Addict Lip Glow Liner, which I admit that I bought purely because it was limited edition and it was an expensive waste of money! I'll use it up but what a waste of €30! My most recent limited edition purchase is Alpha-H Liquid Gold Rose, which I don't regret for a second and I hope it becomes part of the permanent line. My favourite limited edition purchase is the Master Palette By Mario with Anastasia Beverly Hills - I will use every last crumb of all of those shadows! I'd love to hear your thoughts on limited edition products? Do you jump on them as soon as they are released? What is your favourite limited edition purchase in your collection?